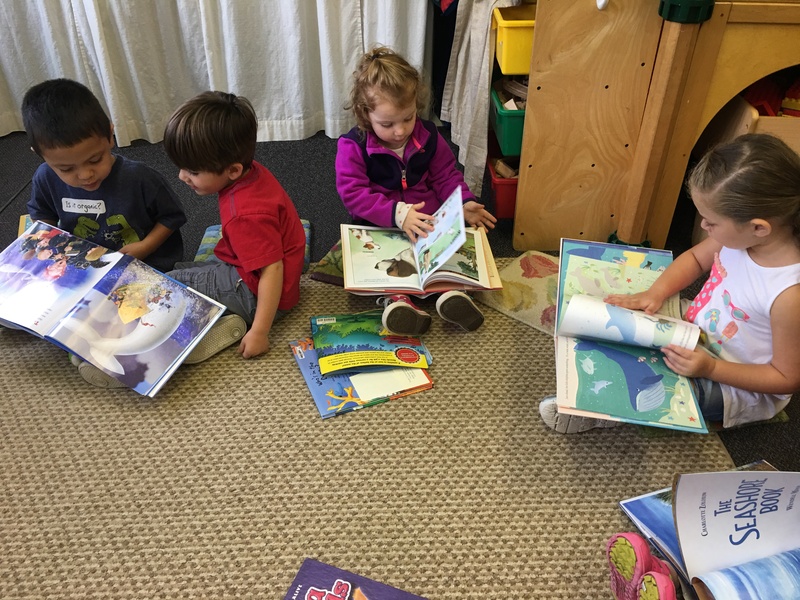 Teachers read aloud to children – all the time. Children model what they see. This entry was posted in behavior, books, children's books, Early Education, Inspiration, picture books, preschool, reading, reading aloud, Teaching young children and tagged children's books, Early Education, literacy, picture books, preschool, reading books to children, teaching young children. Bookmark the permalink. There is so much good in that picture, Jennie. It’s good to see. Thank you, Dan. I liked the shared reading. Oh, that is hard, Ritu. Thank goodness for books, right? They really are, Pete. That’s what makes it special. Best to you. What a wonderful story, Lea. Thank you! Thank you Jennie. It did get me to open my mouth, never an easy task. And it really works. To this day, my own children love gathering together to read. They’re thirty-something! I love it! Thanks, Jacqui. Wow, I can really see and fell your passion in teaching by just seeing your classroom. This is really great! It is so true, Jennie. REading is pleasure. This is another excellent and important post from Jennie! Adorable, Jennie. They all look so intent on those books. You’ve truly inspired them. Hugs. I love how children just “fall into” the illustrations…there is the border of the worlds between imagination and reality! I agree! Children follow by example.